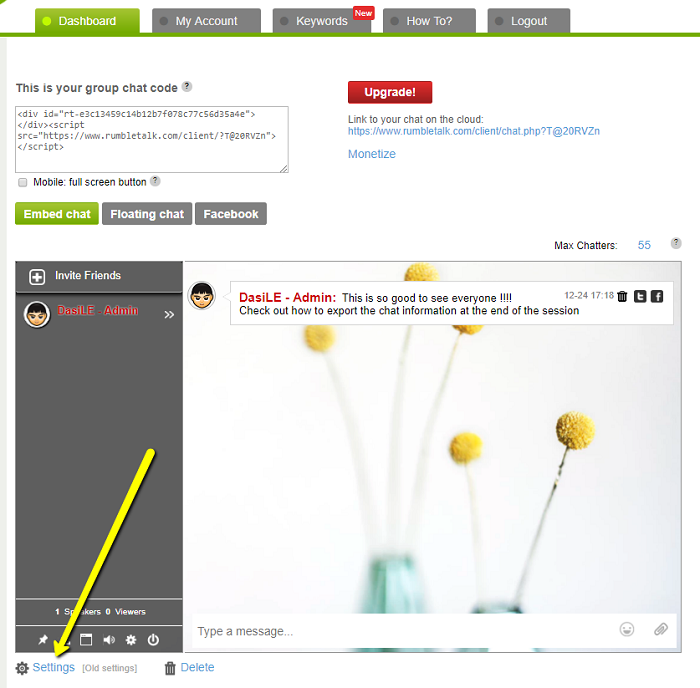 Logging in as an admin user is essential for managing your chat. When you login as admin, you will have option to disconnect users, ban them and if set you can have a live private chat (including video and audio chat). 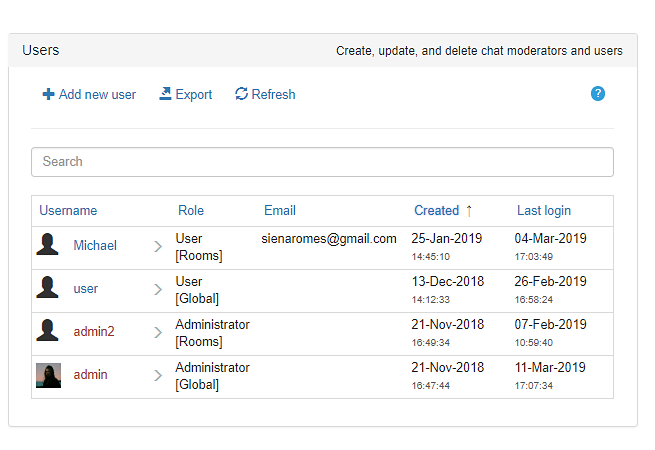 So before you will be able to login to your chat as admin (moderator), you will need to create an admin user in the Users section. 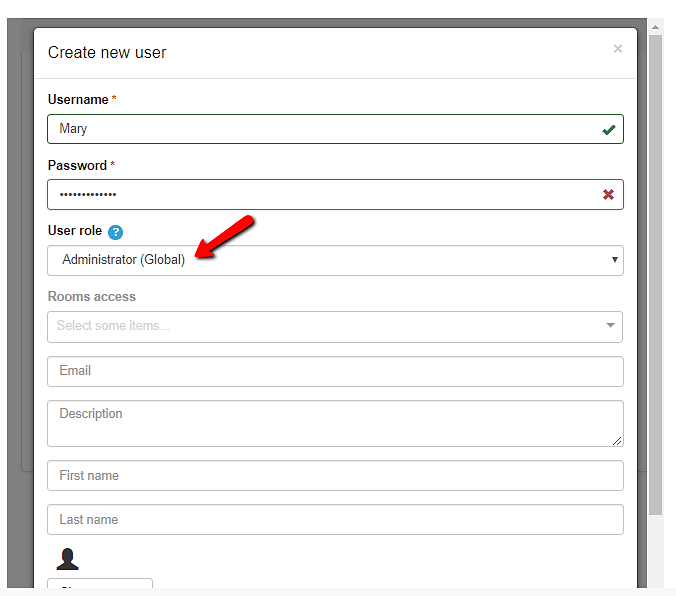 First, log-in to your RumbleTalk account. Click on the ‘Settings’ link on your admin panel. This will open your chat’s settings. Click on the ‘Users’ tab. You will see the list of your defined users. Click on the ‘Add new user’ button at the top of the opened tab. This will start the new user creation process. Fill in a username and a password for the user. 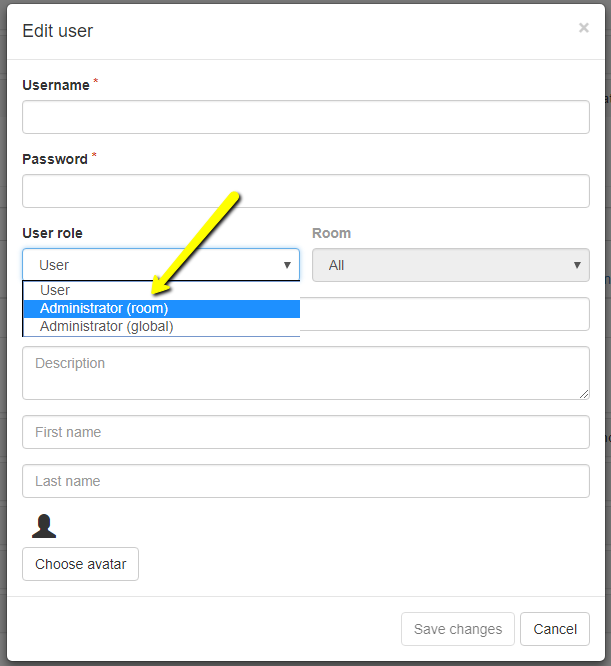 Then set the “User role” to “Administrator (room)”. This will grant administration privileges to the user for a single chat room. Click on the “Room” drop-down, and select the room you want the user to have administrative privileges in. 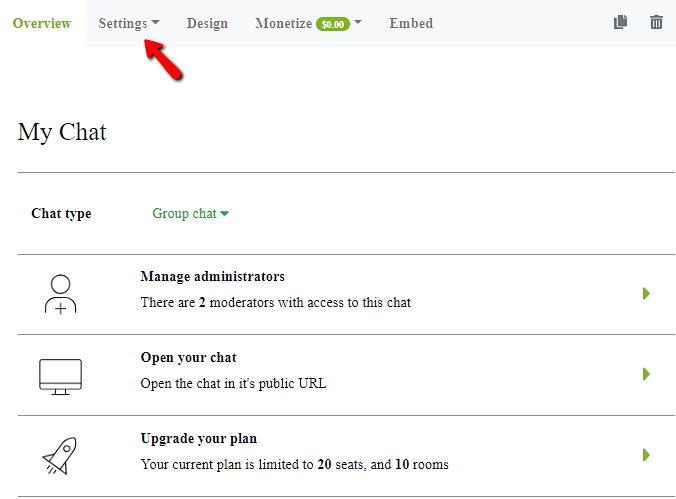 Access your chat room (possible using the direct link at the top of the settings page). Click on the “Click here to join the conversation…” text at the bottom of your chat window. Any name you set in the user’s management list is considered as a reserved name. Therefore, when you try to login with a reserved name, you will be prompt to enter a password. You will be prompt to enter a password. Enter the password and continue. Previous postHow to add YouTube videos in the chat? Next postHow to export your chat transcript?